Select the Saute button on the Instant Pot and set it to 8 minutes cook time. Add 1 tablespoon of the butter and heat until melted. Add the leek, mushrooms and garlic and saute until the mushrooms are browned and the liquid has evaporated, about 3-4 minutes. Add the white wine and reduce until it’s only a few tablespoons, about 2-3 minutes. Add the arborio rice and toast for 1 minute, then turn off the Instant Pot. Add the stock, thyme and salt, then place the lid over the top, lock in place, and set vent to Sealing. Select the Pressure Cook button and select High Pressure for 8 minutes. Quick release the pressure and remove the lid. Your risotto should be soft yet slightly firm in the center and very creamy. If yours isn’t done, add 1/4-1/2 cup more stock and simmer (no lid required) until it’s absorbed the liquid. 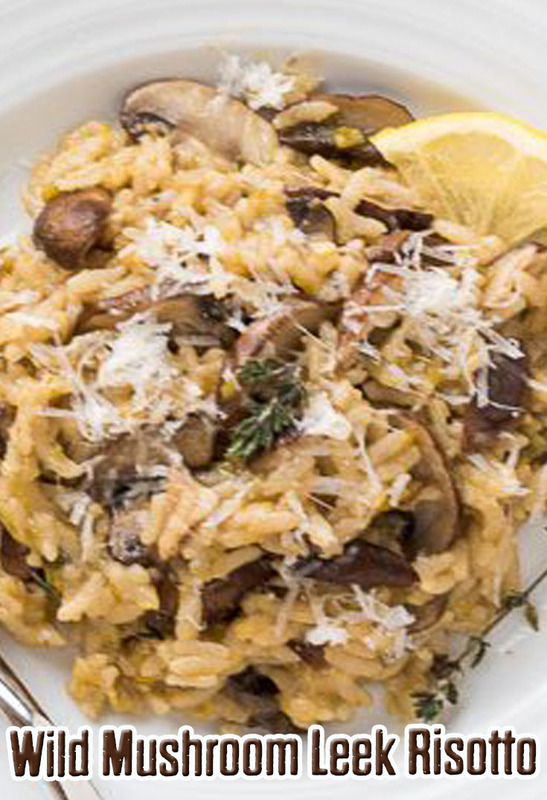 When the risotto is done, remove the thyme sprig and stir in the remaining 1 tablespoon butter, parmesan cheese, lemon zest, juice and salt and black pepper to taste.